I am sure you have heard that the reason that the product hasn’t gone out the door is because of the quality department! The quality department always being the ones responsible for stopping those defective parts from being used and given to the customers. You may have also heard that these forms and charts have to be filled in because the quality department says we have to; or maybe you have heard that we can’t do that because you will be breaking the procedures that the quality department has put in place. Well I hope that things have moved on within the company in which you work and that this is not the view of yourself and your staff. Quality is not something that you have to find a way around, it is an ideal that you must incorporate into everything that everyone does. Quality management is funnily enough the management of the quality of your products and services and more importantly the various processes that come together to produce them. The view of quality has developed and changed a lot over the previous decades; where we once talked about just quality control of our products and quality was focused on inspecting every item to make sure that it met the specifications it is now much more. It was soon realized that maybe it would be better if quality was actually focused on the processes that produced the products and services instead and quality assurance was born where we assured the quality of the product by making sure that the processes were adhered to. This change gave birth to a more robust version of what is now known as ISO9001. Now we are in an era of continual quality improvement with quality philosophies such as six sigma trying to eliminate variation within our processes and save us money. What business can survive if it does not have happy customers? The answer is none! Even if you have a monopoly and your customers have nowhere else to turn it is only going to be a matter of time before someone else sees your bad service as an opportunity and steps in to fill the gap in the market stealing away your customers. Providing a quality product or service in the eyes of the customer is what keeps your business making money. As soon as someone else however can provide better within the customer’s budget your business is in trouble. ISO9001 is a framework for a quality management system; it specifies all of the things that a company should do to assure the quality of its products and services. But when you look at the structure and requirements it begins with the company specifying its objectives, its long term goals; in fact it looks at the planning of the business as a whole and how it is going to satisfy the customer needs. ISO9001 is now rather than a quality management system a full business management system; if you think about it logically quality is important within every aspect of your business. Within the UK is the most widely used structure for a company’s quality management system with many companies requiring suppliers to be certified before they will do business with them. 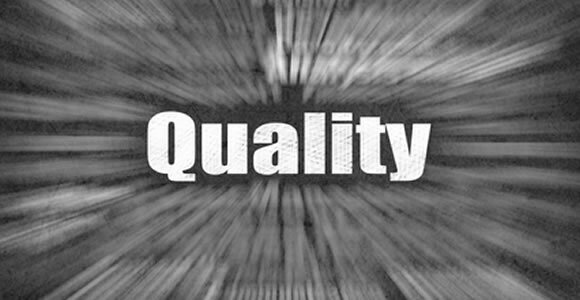 The role of your quality management system. Your quality management serves a number of different purposes all of them vitally important for the survival and growth of your company. It forces you to plan your business for success, not just create a plan but look at it, implement it, monitor your success (or otherwise) and take action. This is the Shewhart or Deming PDCA or plan, do, check, act cycle of improvement. It also provides you with a stable environment, you are forced to train employees and document processes so that everyone knows what they should do, when they should do it and how. This provides your business with a very firm foundation on which to build the most important aspect of your quality management system; that of continual improvement of everything you do. If you sit on your laurels (whatever they may be) and fail to improve your business, you will eventually be viewed as the substandard company as everyone else will have improved on your products and your service and will be stealing your customers. So is your quality management system important? You bet your laurels it is!